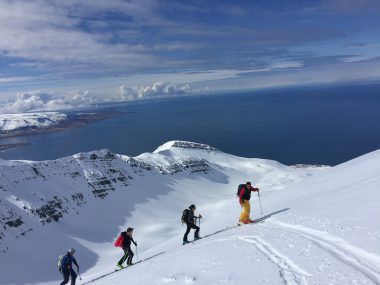 When I read this article, I wanted nothing more but to go ski from the sea to the summit, and back to the sea in Iceland: http://www.cntraveler.com/stories/2015-10-27/exploring-siglufjordur-iceland-the-best-ski-destination-you-cant-pronounce. 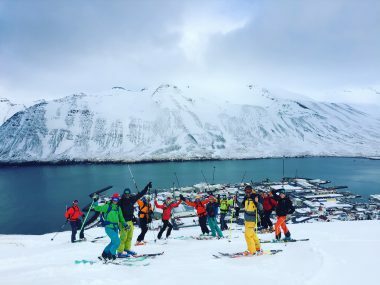 Siglufjordur is a little fishermen town on the northernmost tip of Iceland, surrounded by perfect ski touring terrain. 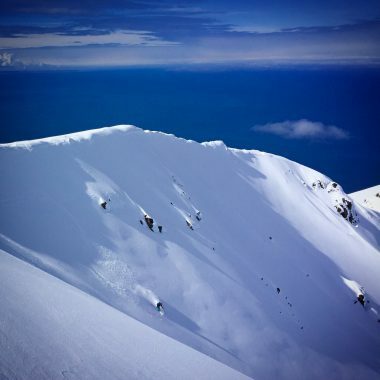 It offers a variety of steeper terrain for sunny days and more mellow terrain when the moody ocean weather brings snow for the next day of good weather. Because the summits are so close to the ocean, the snowpack settles rather quickly. 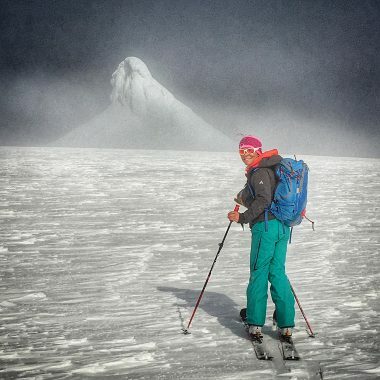 In late April – early May, you can ski powder one day and spring snow the next! On nice weather days, you can ski until your legs can’t take it anymore. But with two vans, we can accomodate those who want to do more or less skiing. And when conditions are more challenging, we can enjoy a moderate ski tour i n the morning and go relax those sore muscles in one of the local natural hot springs, go visit the Herring Museum or tour around to discover the magical Icelandic landscape. We are staying at the Herring House, a two house guesthouse in Sigulufjordur, run by a very kind couple that will accomodate every need you might have!